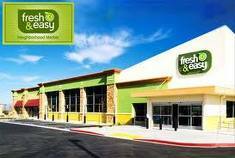 If you haven’t been to a Fresh & Easy Market before, it’s a little different than a regular supermarket. I’ll let their website speak for itself, but I enjoy shopping there. Currently the closest store to me in north Mission Viejo is located in Laguna Woods on Moulton in the shopping center where you’ll find Polly’s Restaurant and Moulton Pharmacy. Since it’s further than a neighborhood supermarket, I don’t shop there all that often, but I certainly will when the Lake Forest store opens in Spring 2011. They’re taking the space formerly occupied by Von’s at Trabuco and El Toro Roads and sharing their space with a new Walgreens. If you’re job hunting, they’ll need people so keep an eye out for their recruitment events or contact them directly.